Not surprisingly, there is scientific evidence indicating empathy in our closest living relatives, chimpanzees. Researchers from LJMU’s School of Biological Sciences in the UK and colleagues analyzed how chimpanzees behave after a fight. They found that third-party chimpanzees will try to console the ‘victim’ of the fight by grooming, hugging and kissing them. 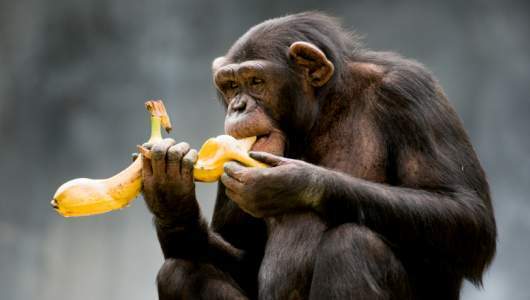 Although this behaviour has been witnessed in chimpanzees since the 1970s, anthropologists previously believed that the motivation behind it was purely selfish – with the consoling chimp wanting to pre-empt further violence. The allegedly telltale signs of nervousness in humans include scratching ourselves or hand-to-face movements. Similarly, when our chimp cousins find themselves in stressful situations they often resort to self-grooming and self-scratching. Fraser and Professor Aureli found that after a fight, these actions occurred with increasing frequency, but when the non-aggressive chimp entered the fray, the agitated ape soon stopped their nervous movements. Other researchers have compared empathy in humans to empathy in chimpanzees and concluded that ‘Chimpanzees are arguably capable of empathizing with others’ emotional states’. Fraser O.N, Stahl D and Aureli F 2008 Stress reduction through consolation in chimpanzees.